Santino "Tino" Pancotti was born in December 1940 and joined Agusta in 1958 as a draftsman at the age of only 17. Initially he worked on Bell 47s licensed from the Fort Worth manufacturer, and was soon assigned to the team designing the Italian Navy derivative of the Agusta Bell AB204, named AB204AS. As a junior designer, he worked on the development of the A102, A103 and A101G, which, at that time, was one of the largest rotary-wing aircraft in the world. Pancotti then joined the design group of the Agusta A109, assuming responsibility for the flight controls and undercarriage. 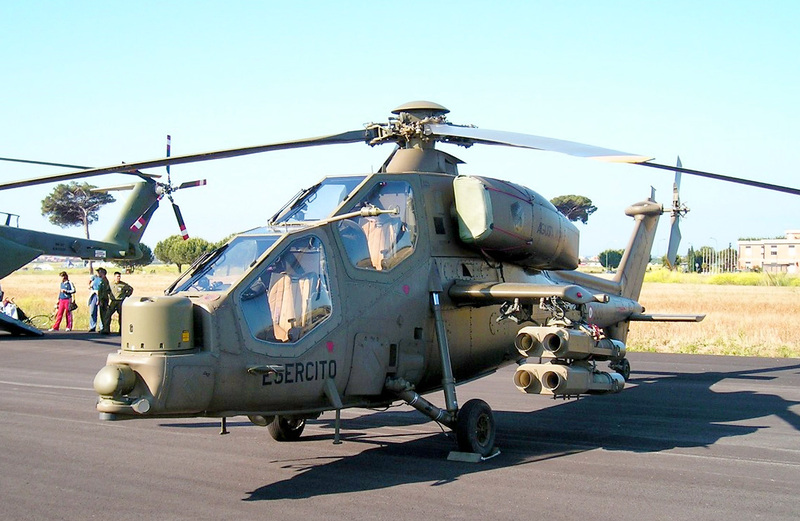 From 1978 to 1983, he worked as a chief designer on the A129 Mangusta, the new light attack helicopter for the Italian Army (which has now evolved into the joint T129 with Turkish Aerospace Industries). Pancotti implemented significant innovations in the areas of elastomeric hub design (without mechanical hinges) and the achievement of ballistic tolerance by design. The A129 at the time was a unique design with a fully elastomeric hub, a fly-by-wire backup for the tail rotor and composite blades. 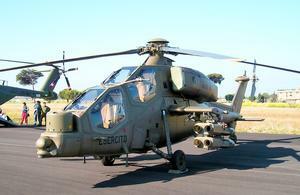 It was the first helicopter developed in Europe with a fully integrated avionics and mission system. During this period, Pancotti was also appointed as head of the Agusta Preliminary Design Department, which allowed him the freedom to develop and achieve his vision for a fully capable multidisciplinary team able to take a program from concept to certification. In recognition of his synthesis skills, Pancotti was the obvious choice to be nominated as the coordinator of the vehicle teams of the two major collaborative helicopter programs launched in Europe in the mid-80s: the EH101 and NH90. In 1982, he was involved in the Joint Agusta/Westland Design Team for the definition of the helicopter EH101 (now Leonardo Helicopters’ AgustaWestland AW101), and was a key player in the definition of the architectural and main design choices. In 1986, he was appointed as a coordinator of the Vehicle Team in the new European Helicopter Collaboration Program, the NHIndustries NH90, and had a major role in its initial preliminary design.In the early 1990s, he was appointed chief designer and director of the engineering group whose mission was to modernize the A109. These activities produced the A109 Power, Grand and Grand New, as well as the successful single-engine A119. When in 1997 Agusta decided to launch the design of a new Medium Twin Helicopter, Pancotti was the obvious choice to lead this activity, using his vision for a multidisciplinary team. Thanks to Pancotti’s enormous experience and design leadership skills, Agusta was able to conceive, design, develop and take to flight its completely new helicopter — the AW139 — in fewer than 42 months. This aircraft has more recently engendered the AW149, AW169 and AW189 family.Pancotti’s approach to the formulation and leadership of a multidisciplinary team continues to be used today on all of the company’s current programs. Leonardo Helicopters notes that the team approach set up by Pancotti has emerged as the best way to mix enthusiasm and experience together in an environment that is not hampered by organizational constraints, is able to make progress without delays, and stimulates all who work in it. He is credited with more than 30 patents in the field of hubs, rotors, controls and innovative configurations. Many of these patents are found in current production aircraft and others are the basis for international collaboration. In 2000, he conceived of a new tiltrotor/tiltwing design, ERICA. At the time, Agusta had already partnered with Bell Helicopter on its BA609 civil tiltrotor, which Leonardo Helicopters now owns. The ERICA design is being extrapolated to the 20-passenger Next-Generation Civil Tiltrotor (NGCTR) now under development. Pancotti was selected as the 23rd Alexander A. Nikolsky Honorary Lecturer, one of the Society’s highest honors. 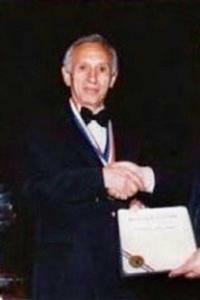 He presented his prestigious lecture at the 59th Annual AHS International Forum, Phoenix, Arizona in May 2003. His lecture was published in the Journal of the AHS in July 2004: “After 50 Years of Helicopter Design, Are Rotorcraft Mature Enough for the Commuter Role?” In 2001, Pancotti began his final role with AgustaWestland as vice president for new products and research activities. He retired in 2006 from full-time engineering, but remained as a member of the AgustaWestland team through 2009, leading the innovation and design synergies that are creating the next generation of rotary-wing products and culminating an incredible 50-year-long career in rotary-wing aviation. In November 2007, he was awarded a prestigious Honorary Degree in Aerospace Engineering by the Politecnico di Torino. In 2012, he was selected for Honorary Fellowship in the Royal Aeronautical Society — one of the society’s highest distinctions for aerospace achievement, which it awards only to the most outstanding contributors to the profession. Santino “Tino” Pancotti, former technical lead for Agusta and AgustaWestland (now Leonardo Helicopters), passed away on Monday, August 29, 2016 after a courageous fight against a long illness; he was 75. AHS International, Leonardo Helicopters, colleagues and friends mourn the loss of Pancotti.